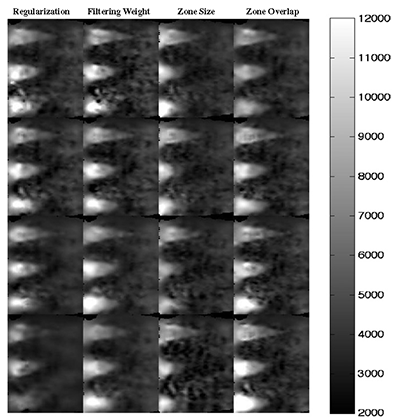 Elastography visualizes the biomechanical properties of soft tissues. These properties offer important diagnostic information that clinicians have used to improve the differential diagnosis of breast and prostate cancer, to detect life-threatening plaques in either the carotid or coronary arteries, to improve the diagnosis of non-alcoholic fatty liver disease, and to assess the role the role the mechanical properties in the aging brain. Projects are underway to study how the pancreatic cancer tumor microenvironment responds to immune and anti-stromal therapy. We are also using elastography to investigate vascular aging in patients infected with the HIV virus. The response of phospholipid-encapsulated microbubbles to chirp-coded excitation: Implications for high-frequency nonlinear imaging. Improving the sensitivity of high-frequency subharmonic imaging with coded excitation: A feasibility study. Parametric subharmonic imaging using a commercial intravascular ultrasound Scanner - an in vivo feasibility study.